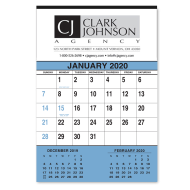 Commercial Wall Calendars are a long-time favorite promotional product. 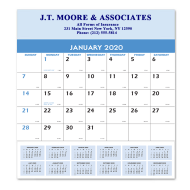 Their promotional benefits and brand exposure qualities can be applied to any business-to-business company that is looking to push a commercial product or service. 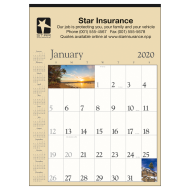 Commercial Wall Calendars are ideal for any company that wants a branded product that really stands out. Their oversized construction will allow you to showcase your brand in an extremely effective way, delivering daily exposure for at least 365 days. 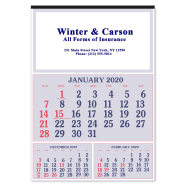 Try our imprinted commercial calendars once and you'll be so pleased that you will reorder them year after year!